Wahlburgers is an American reality TV series that stars the Wahlberg brothers Paul, Mark and Donnie and focuses on the hamburger franchise business that chef Paul Wahlberg runs while solving various conflicts between his brothers, his family and the guests attending his venues. Paul also has to overcome every obstacle thrown his way in order to expand his business further throughout the USA. Rob Hampton, Johnny Alves, Adam Hochfeld, Rob Gronkowski, Jonathan Knight, Jordan Knight, Nate Brown, Kevin Hager, Henry Laun, Joey McIntyre, Julian Edelman, Bubba Watson, Alma McPeck, Dale Earnhardt Jr., Archie Gips, Bobby Orr, et al. Get up close and personal with one of Boston's most well-known families, the Wahlbergs, in "Wahlburgers: Series 1". Join Mark, Donnie, Paul, and mom Alma as they pursue a tasty new venture: a family-run burger restaurant that touts the family name. Mark and Donnie head home and join forces with their most talented sibling, Chef Paul, to help make his restaurant dreams come true. This tight-knit family is all about brotherly love, sibling rivalry, and being mom's favorite. Enjoy family dinners, practical jokes, bonding trips, and even embarrassing childhood memorabilia that Alma digs out of the garage. Never far from the action are Mark and Donnie's original entourage, childhood friends Johnny Drama Alves and Henry Nacho Laun, who are always happy to accept a free burger - and even a trip to LA. A&E serves up a home-grown array of Boston-baked shenanigans and family fun in season two of Wahlburgers as Donnie, Mark, Paul, and Bob are joined by mum Alma, additional family members, their restaurant crew and an eccentric array of close friends from Nacho to Johnny Drama. Look into the Wahlberg world, from the stress of running a restaurant to worldwide travels to domestic bonds, strengthened and frayed. 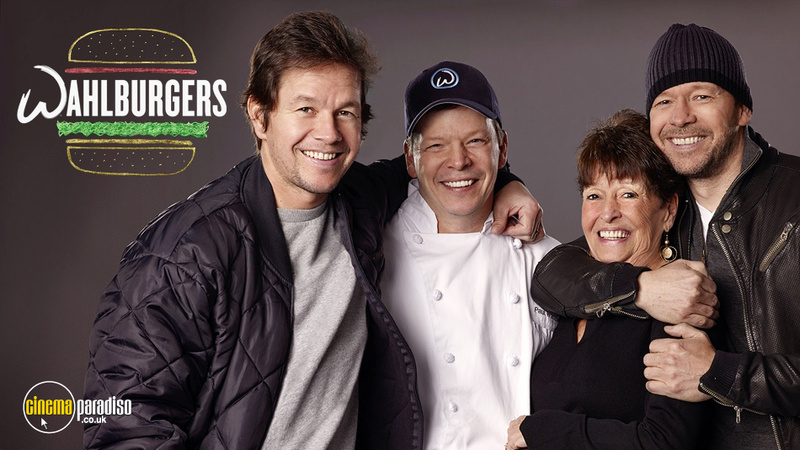 Will the New Kids be able to stomach British fare in "An American Wahlberg in London"? Find out what happens when a father-son bonding experience takes a colourful turn in "Fathers Fishing Day". Can Donnie live up to the challenge, and his self-proclaimed hype, of running the restaurant for a day? Adam Hochfeld, Donnie Wahlberg, Mark Wahlberg, Paul Wahlberg, Bubba Watson, Dale Earnhardt Jr.